Ramsgate’s all-weather lifeboat was called out to a 30 foot yacht stranded off Ramsgate this morning (July 30). 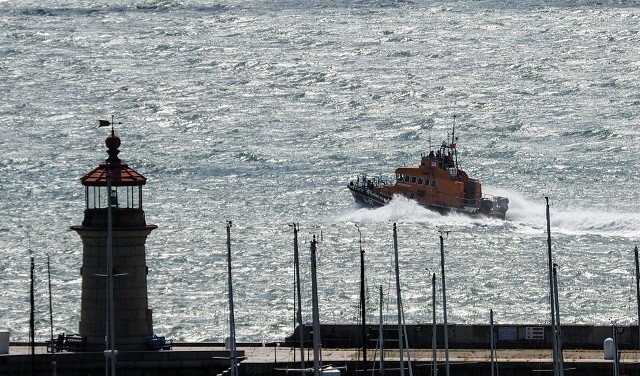 An RNLI crew of seven left Ramsgate harbour in extreme conditions, with a force 6 wind coming from a south westerly direction, at around 11.40am. The yacht had left Ramsgate to return to Burnham in Essex, when the sole person onboard had to issue a Mayday due to engine failure. The lifeboat brought the craft safely back to Ramsgate marina and gently manoeuvred it onto the pontoons.